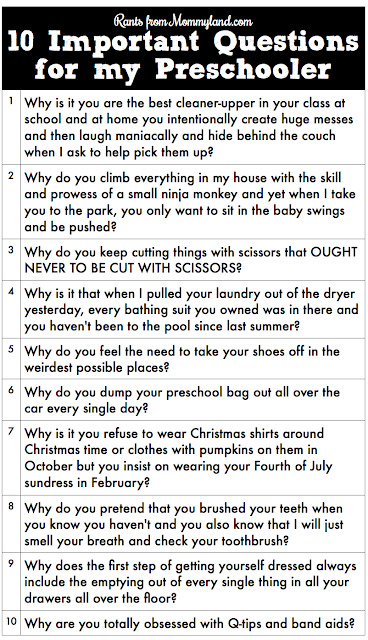 I love my sweet little 4 year old Mini more than boxed wine and Downton Abbey combined, but I need to be straight with you. The child is a handful. I will never understand the things she does. I can only hope to stop her before she causes permanent damage. Then again, we all know she's a precious little cupcake baked by the devil, so what did I expect? 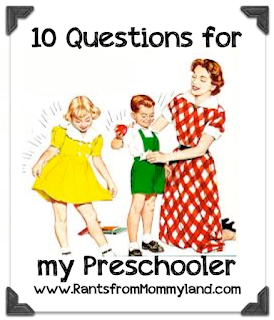 I started rattling off a list of questions I wanted to ask her last night, and my husband Cap'n Coupon reminded me that I was a moron and that all our kids had done this same stuff as preschoolers. It was kind of a relief. So I thought I'd share this stuff with you guys and see if it's happening at your house, too. 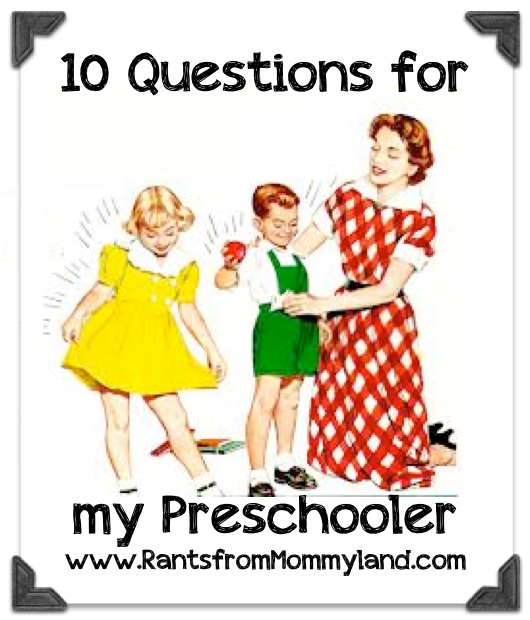 Here are ten questions for my preschooler, in a handy dandy list format.